Chisago City, located at the western end of these five communities near Green Lake, is known as the “Gateway to the Lakes.” The town boasts 9 parks and outdoor spaces to enjoy, one of which is the setting of the 1950’s book The Emigrants, a fictional story series about Swedish characters Karl Oscar and Kristina Nilsson by author Vilhem Moberg. Each year, the town celebrates their Swedish history with Ki Chi Saga Days in August. Beyond the lakes and parks, Chisago City offers visitors a charming small town atmosphere filled with one-of-a-kind restaurants and shops. Our beautiful town of Center City marks the Chisago Lakes Area’s transition from lake to land, as we head further east towards the St. Croix River. In Center City, you’ll enjoy incredible scenery looking over the lakes to the west, a variety of historic homes, and an incredible downtown filled with delightful shops and restaurants. Get a glimpse of Center City’s early days on Summit Avenue, where beautiful Victorian homes line the streets, or visit the quintessential Lutheran church in town, which just so happens to be the church where Jack Lemon marries Ann Margaret at the end of the movie Grumpy Old Men. Head to Eichten’s Market and Bistro, where you can taste homemade Gouda cheese; a tradition dating back to the town’s earliest Swedish immigrants. 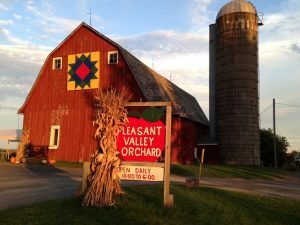 The farming town of Shafer, nestled in the rolling hills of the St. Croix River Valley, offers visitors picturesque green meadows, pastures, and barns. A key segment of the Swedish Immigrant Trail runs through Shafer, allowing you to follow in the footsteps of the area’s earliest settlers. In the fall, visit the orchards and enjoy the fruits of these farmer’s labors. Finally, on the banks of the St. Croix River itself, you’ll find the charming, historic town of Taylors Falls. The area is best known for its incredibly geology and scenic natural beauty. This is where you’ll find the Dalles of the St. Croix River; incredible rock formations formed by receding glaciers over 10,000 years ago. It’s common to see rock climbers scaling the cliffs along the river, and there are always plenty of hikers exploring the glacial potholes at Minnesota Interstate State Park. Designated as a National Wild and Scenic River in 1968, the St. Croix River has always played a central role in the town of Taylors Falls. Though the outdoors are stunning, don’t miss your chance to soak in the historic charm of this incredible downtown. 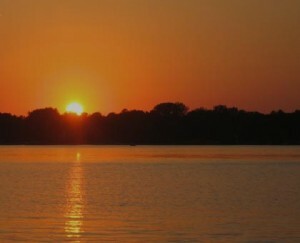 It’s easy to see why the Chisago Lakes area of Minnesota is so special. Each of these towns is incredible in their own right, but joined together into one larger community they are simply spectacular. Come explore the communities of the St. Croix River Valley, and see for yourself how a truly magical this place is. To get started, all you need to do is book your room at our Minnesota Bed and Breakfast today.